The basic premise of Scouting for youth with special needs is that every boy wants to participate fully and be respected like every other member of the unit. While there are, by necessity, troops exclusively composed of Scouts with disabilities, experience has shown that Scouting usually succeeds best when every boy is part of a patrol in a regular troop. Read more about working with scouts with Special Needs and disabilities. 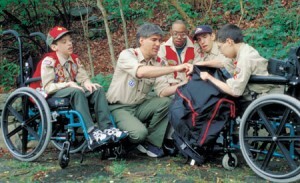 Youth with physical disabilities and youth and adults with developmental or cognitive challenges can be members of the Boy Scouts of America. Many of these scouts may take more time to satisfy the rank requirements, but can do so with accommodations when give the proper support and encouragement. 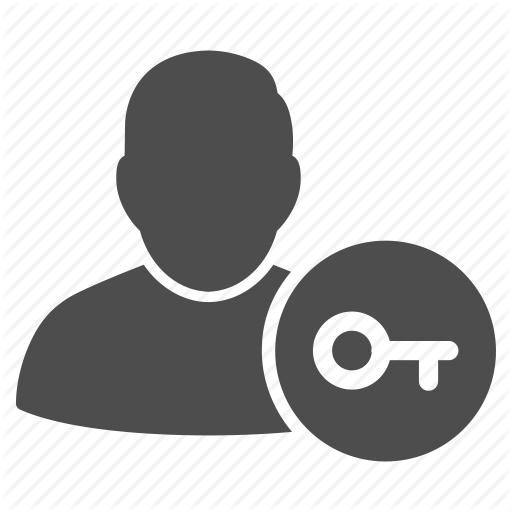 Others may need specific accommodations, including “alternative requirements” and the opportunity to register beyond the age of eligibility, as outlined in Section 10 of the Guide to Advancement. Section 10 outlines the BSA guidelines and local resources to assist with questions regarding advancement for these members. Abilities Digest – A quarterly newsletter which addresses topics related to Scouts with special needs, new leader helps and articles that highlight Scouts with special needs in action! Send an e-mail to subscribe to: disabilitiesawareness@scouting.org. Disabilities Awareness “landing page”– Includes links to most items on this page, as well as the Abilities Digestarchive, the Best Practices compendium and the FAQs – http://www.scouting.org/disabilitiesawareness.aspx.